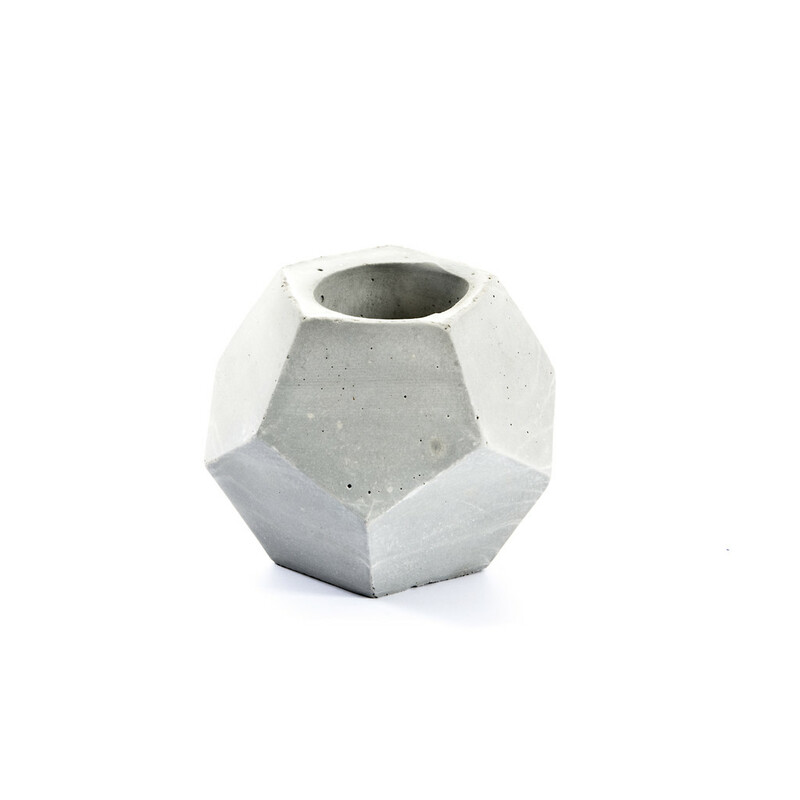 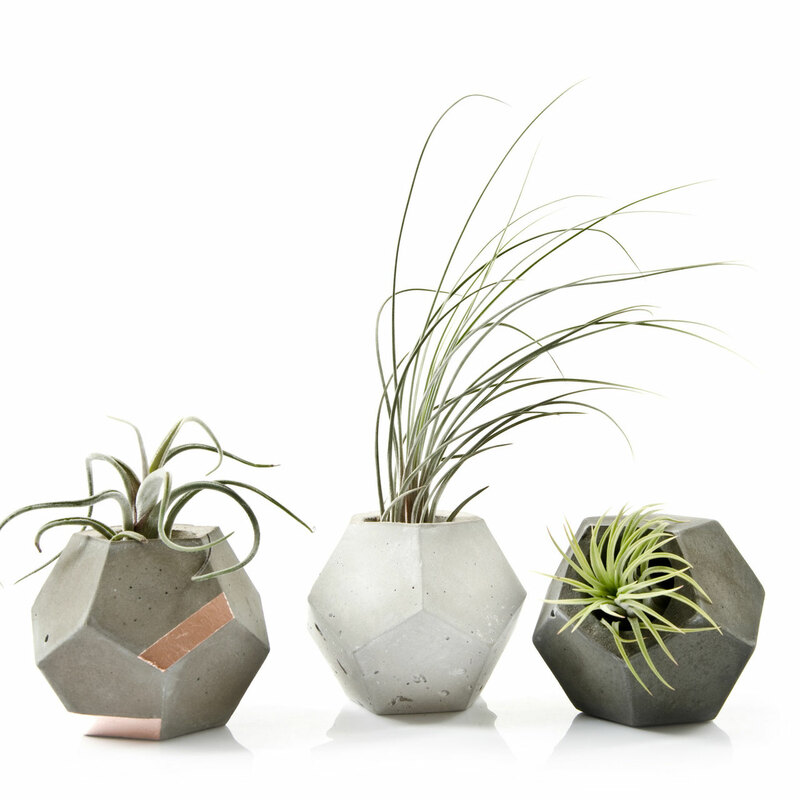 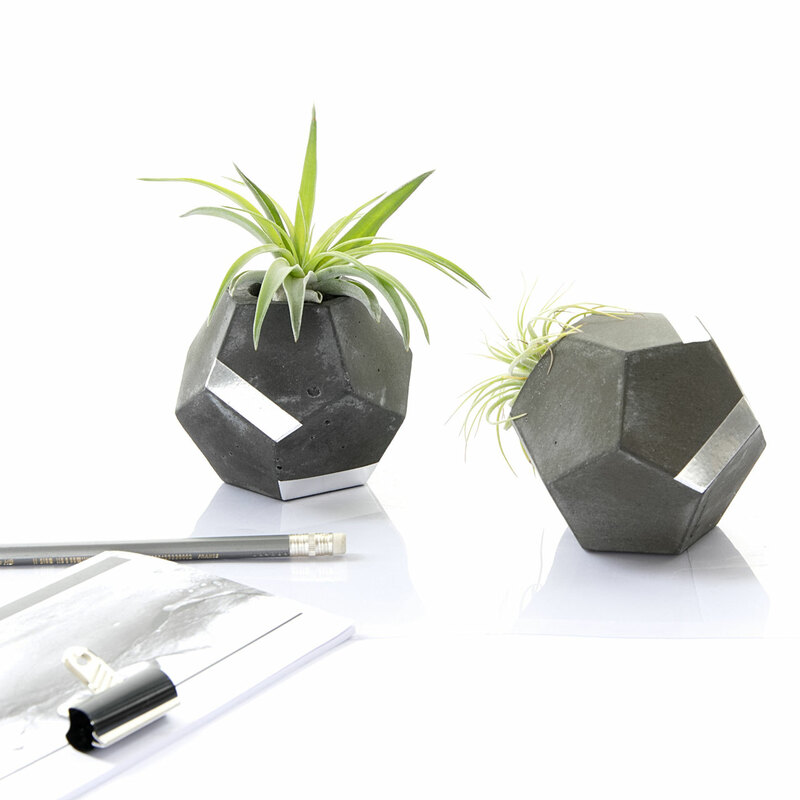 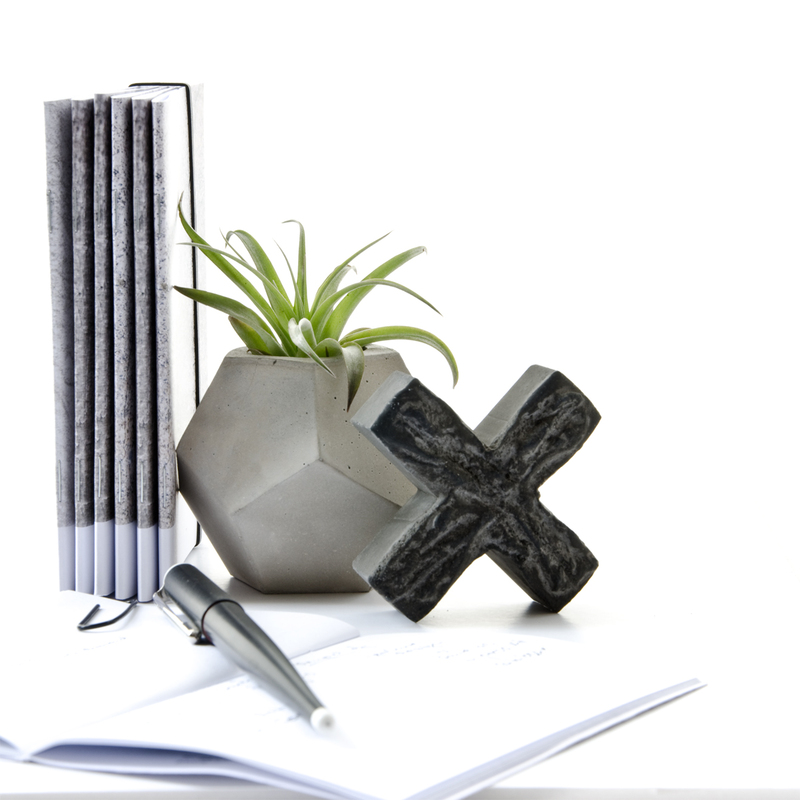 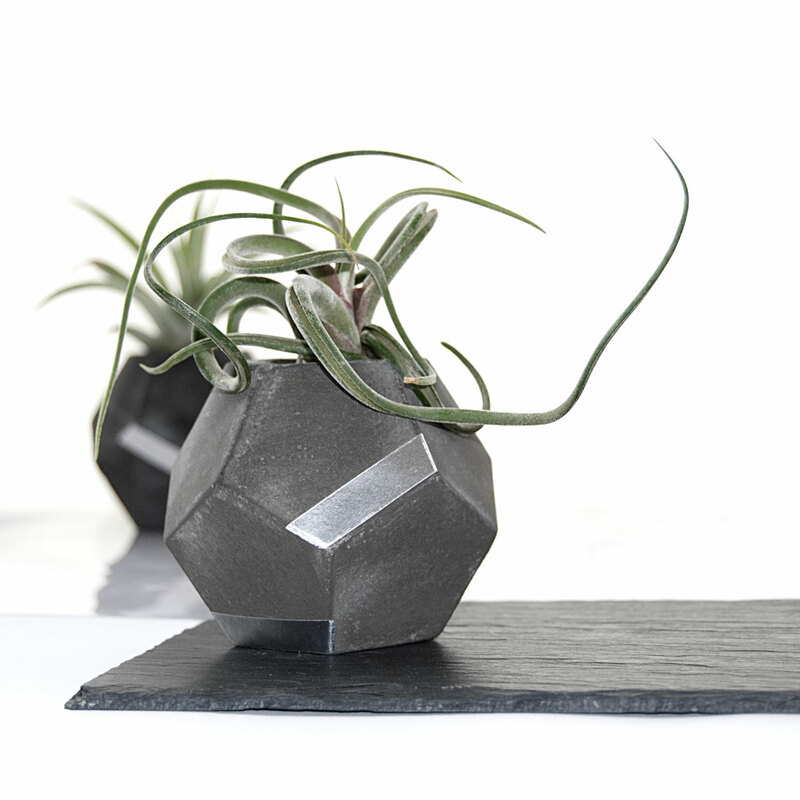 The dodecahedron concrete Air Plant holder comes in four different finishes. 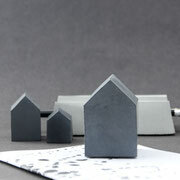 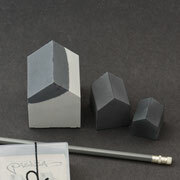 The most elegant and laid back is the pale grey finish. 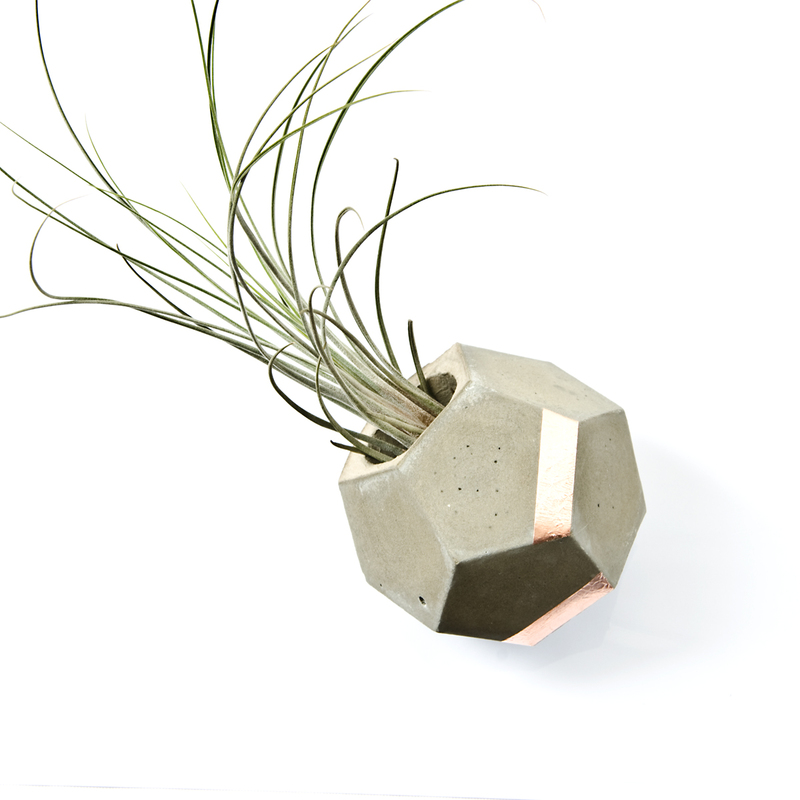 The dark finish creates more of a statement piece and the sandy gay with copper or the dark aged with silver variation is an eye-catcher and talking point. 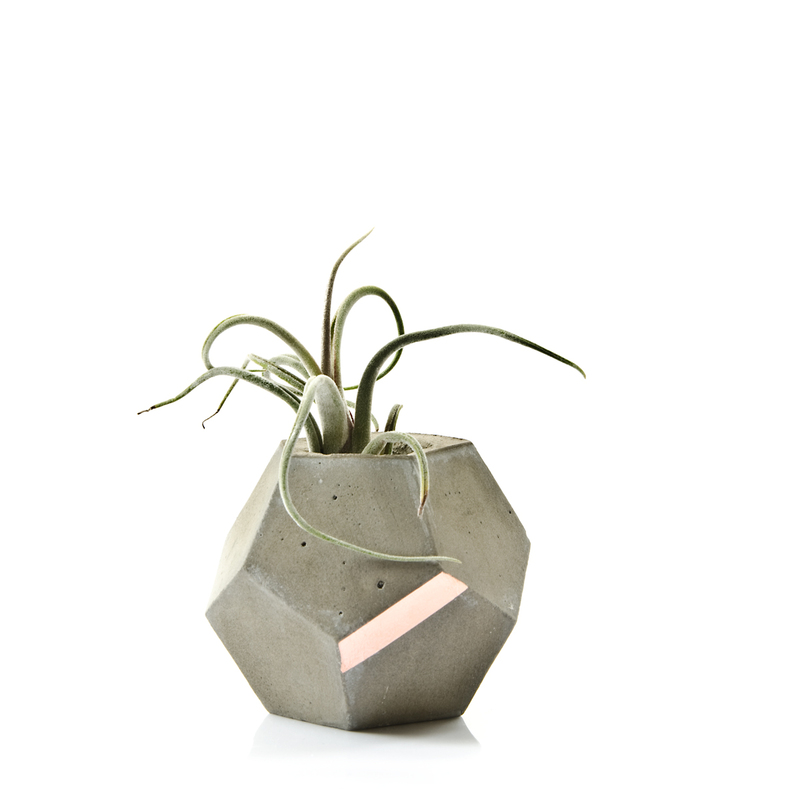 The geometric lines are rather playful but offer a great pleasing appeal. 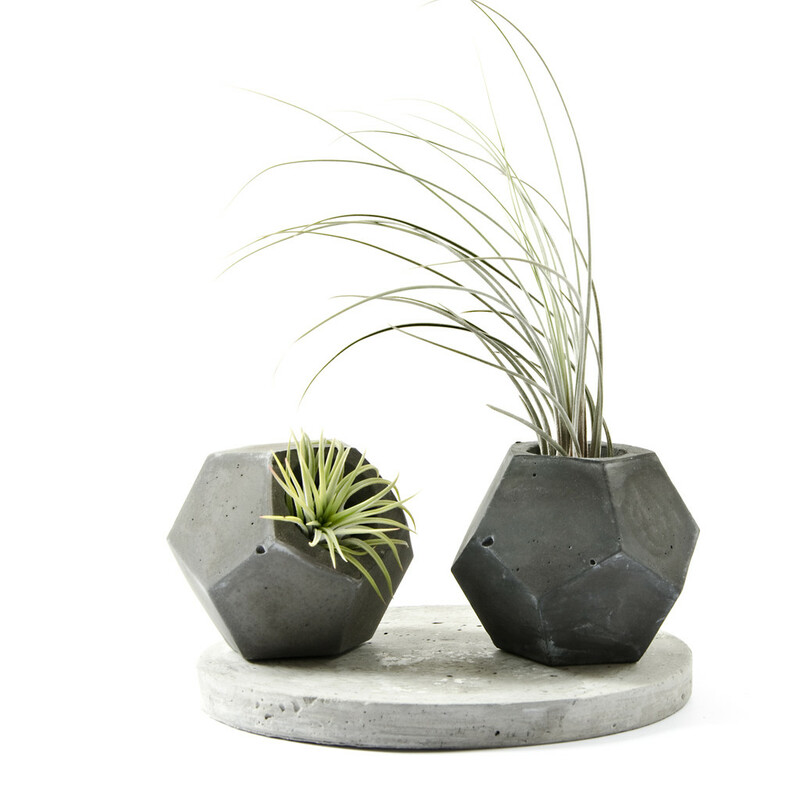 The dark aged concrete features a fading white patina which makes it appear aged and allows this vessel to have a soft as well as hard contrast between the dark and the silver shine. 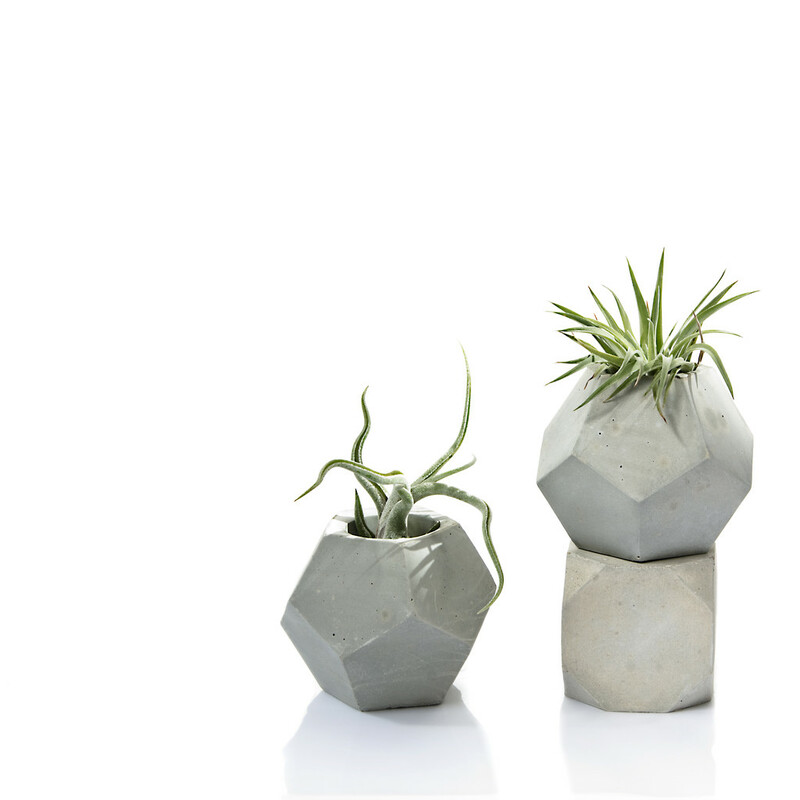 However they are all finished fairly smooth to offer a tactile feel which will invite you move it around from dinner to coffee table to shelf or sideboard accent. The soil free Air Plants wont mind and it will even allow to display the plant to the side not just on top. 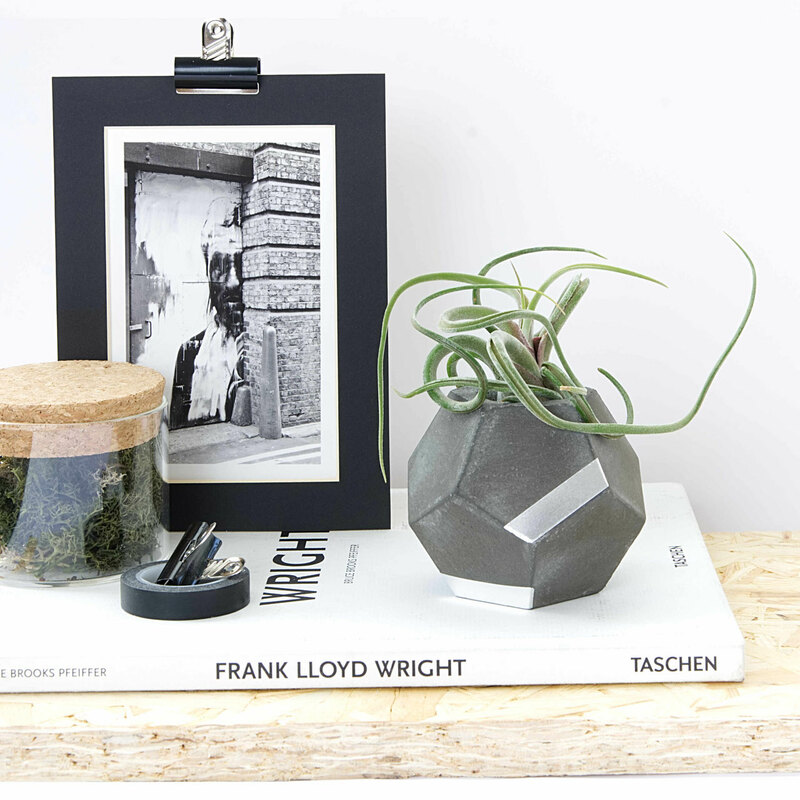 They are wonderful gifts for him and her, even though the dark one is so far preferred by men but never mind, they are fabulous for designers as well as design lovers and of course a thoughtful present on birthdays! 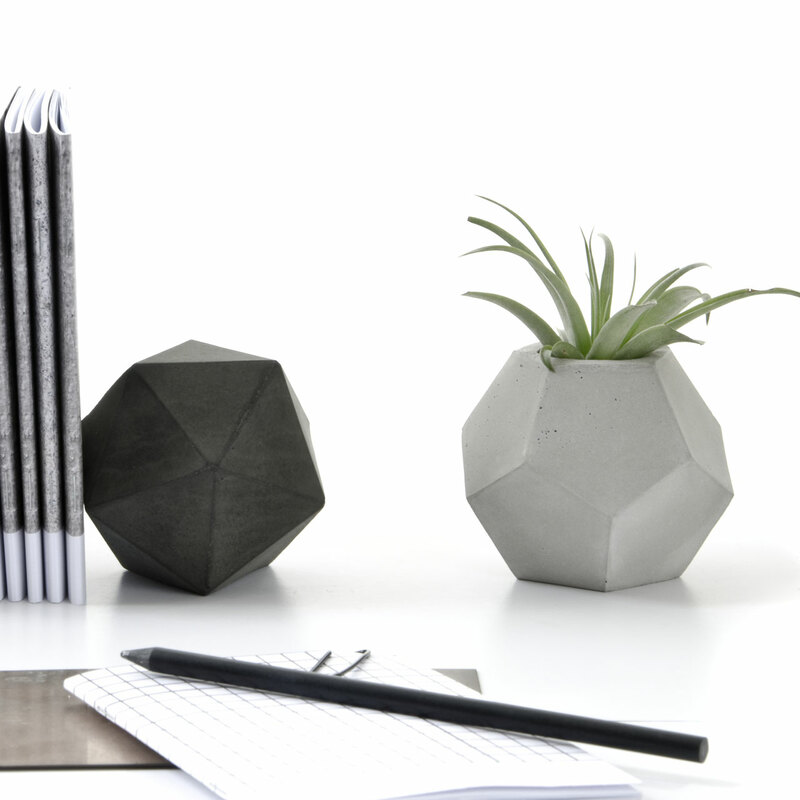 Please choose below, thank you! 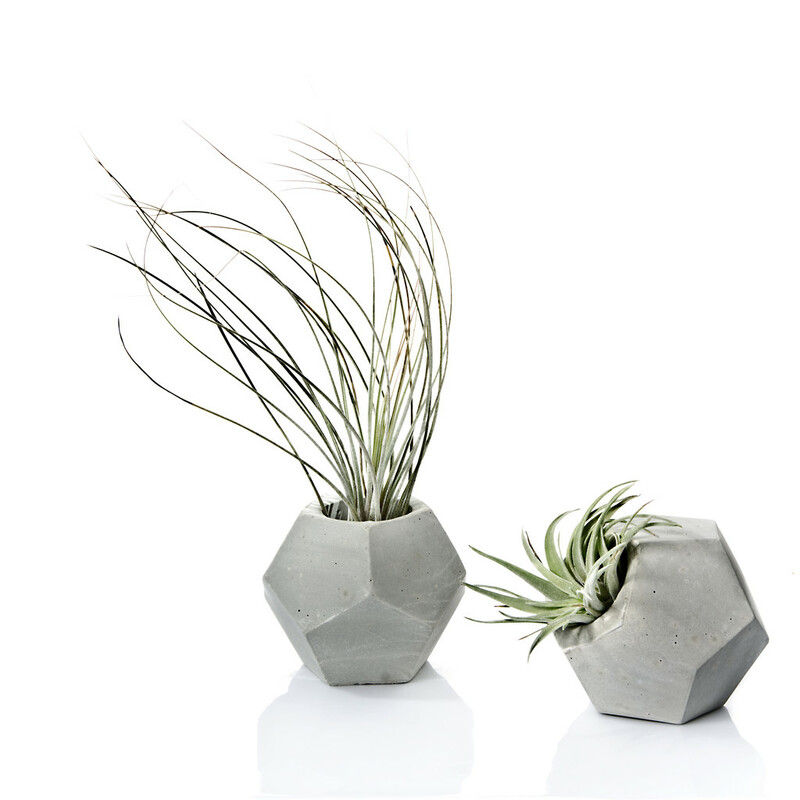 Plant and decorations are not included but if you are living in the UK you can add your favourite Air Plant / Tillandsia!